District 751’s Flight for Sign fun run raised more than $14,000 for Guide Dogs of America, a charity that provides service dogs and training to people who are blind or have impaired vision. More than 140 runners took part in IAM District 751’s annual Flight for Sight fun run, generating more than $14,000 for Guide Dogs of America. The totals were just shy of last year’s all-time records. 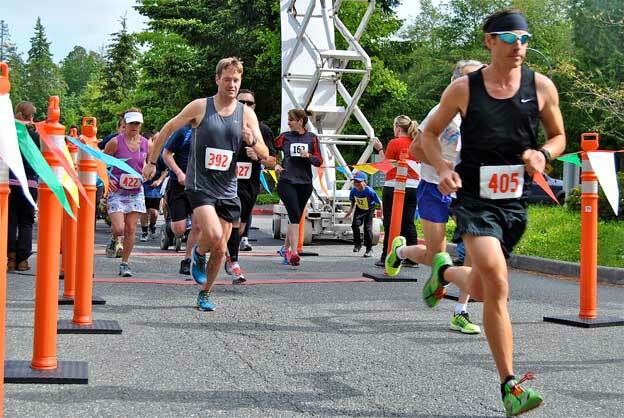 The event, which was held on June 7, included timed 5K and 10K races, plus a non-competitive one-mile walk. Click here for photos of the run. Over the past 13 years, the Flight for Sight has raised approximately $147,000 for Guide Dogs of America, the California-based charity that provides service dogs and training in their use free of charge to people who are blind or have impaired vision from across the U.S. and Canada.